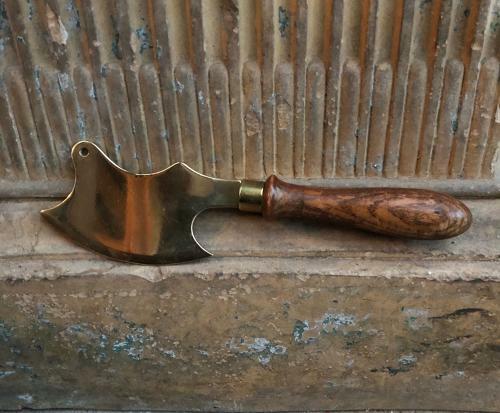 Lovely size Victorian Brass & Elm Sugar Cleaver. Lovely shape. Very good looking at it one side and the other side has a few knocks - expected really. Hole in the blade to hang.